In our year-end Space Investment Quarterly Report, we dubbed 2017 the “year of commercial launch.” From an investment standpoint, it’s hard to argue against this moniker—the Launchers & Landers subsector ended the year with the most investment, representing 72% of capital allocation, and outpaced the Satellite sector as the most-funded segment within the Entrepreneurial Space Industry. According to our proprietary data, nearly $6.6B in equity capital has been invested in private launch systems since 2009 - the dawn of the Entrepreneurial Space Age. All of this investment activity has created enormous momentum within the private launch landscape, and led to significant progress in commercial launch capacities. In fact, we’ve discovered that today’s commercial rockets are more reliable and more cost-effective than their government-funded counterparts, with the current operational fleet of both medium- and heavy-lift private launch systems boasting a 99% success rate. In comparison, the current operational fleet of government medium- and heavy-lift rockets have posted success rates of 96% and 90%, respectively. While these statistics are certainly exciting for proponents of the entrepreneurial space industry, it’s taken a while for private launch providers to reach such highs. It’s worth considering the challenges and pitfalls faced by early private launch pioneers in order to appreciate just how far we’ve come. If you haven’t yet read our Q4 2017 Report, access it here. The first forays into commercial rocketry were visionary, valiant, and—as often as not—ill-fated. It’s important to remember that there has long been a commercial presence within the aerospace industry. Indeed, commercial companies have been building rockets for nearly as long as government agencies have: Early models of the Atlas rocket family were designed and manufactured by Convair, including the Atlas-6 which launched John Glenn around the Earth in 1962. A key distinction between today’s private launch industry and early commercial rocketry efforts is the primary source of development funding. 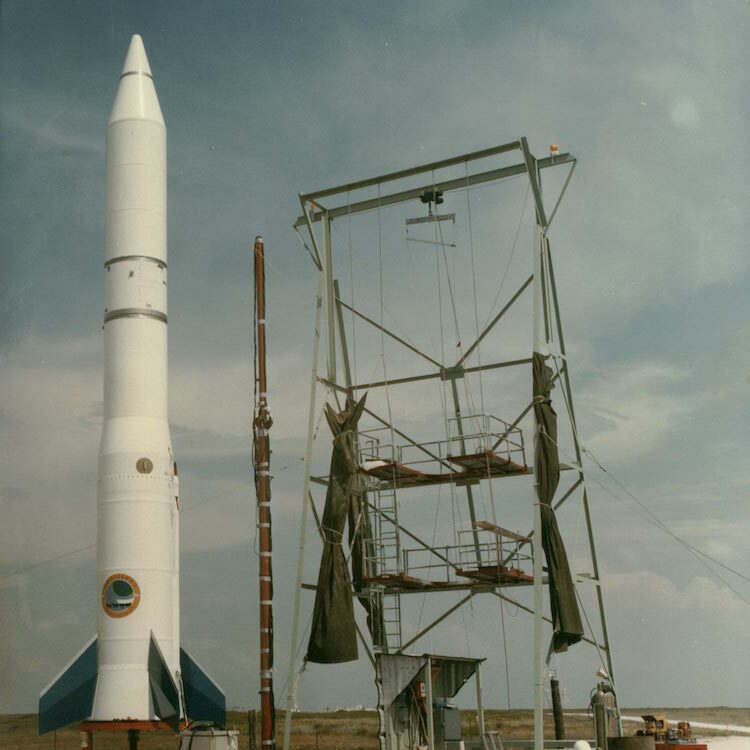 Early launch vehicles were developed by aerospace corporations using government funds paid through a cost-plus contracting model—a scenario which, while often lucrative for the contracted company, frequently led to delayed production schedules and squandered government resources. can serve government, but must also serve non-government, profit-seeking customers. Going by this precise definition, the list of early commercial launch vehicles narrows considerably. Our definition also excludes what some might consider the world’s first “commercial launch.” In September of 1982, a Texas company called Space Services Inc. of America launched a modified Minuteman rocket —leased from NASA and dubbed Conestoga I—to an altitude of 192 miles above sea level. Based on our framework, the Conestoga vehicle was not a commercial rocket. It was instead a government rocket operated by a commercial company. By the early 1990s, private aerospace companies had recognized the untapped commercial potential of space and were experimenting with developing their own truly commercial launch vehicles. Of particular note was Orbital Sciences Corporation, the aerospace giant which merged with Alliant Techsystems in early 2015 to form today’s Orbital ATK. In April of 1990, Orbital celebrated the successful flight of their Pegasus launch vehicle. Orbital’s rocket had several key differences when compared with SSIA’s Conestoga: for one, Pegasus was wholly designed and built by private enterprise, whereas Conestoga was a NASA rocket leased and launched by a private company. Pegasus also pioneered an “air launch system” and was launched aboard a carrier aircraft. Perhaps the past tense “was” is not necessary here—for Orbital’s Pegasus vehicle, in its “XL” build variant, is still in use today (though it is rarely flown due to high cost and increased competition from other vehicles). According to the company, Pegasus (+XL) has flown 43 missions since that first launch in 1990. The 1990s: in which private launch companies became more numerous and more viable, but not always more successful. Pegasus’ operational endurance is remarkable, especially considering that vehicle’s early years were marked by high failure rates, wherein the vehicle malfunctioned upwards of 35% of the time. 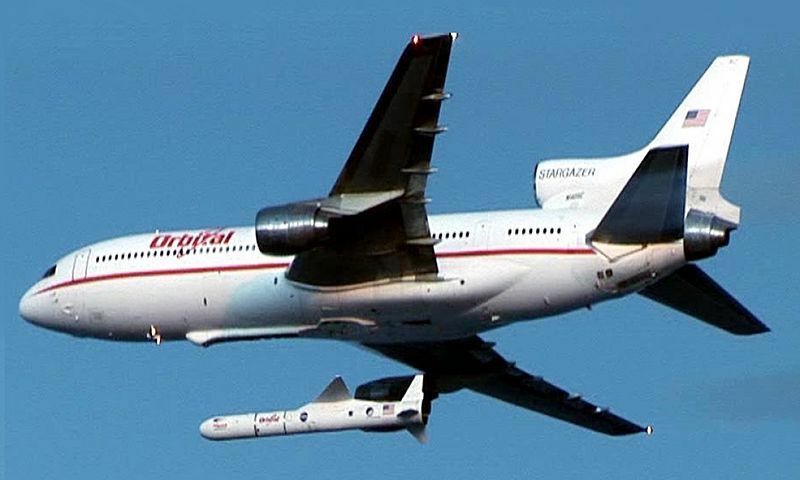 Notably, all of these partial or complete mission failures occurred between 1990 and 1996—after which point Pegasus began an upward trend in reliability that continued through the vehicle’s most recent flight in December 2016. Orbital Sciences Corporation’s second commercial rocket offering, called Taurus, was a ground-launched multi-stage vehicle which enjoyed an enviable launch record from the outset. First launched in 1994, Taurus flew three more times by the end of the decade and successfully deployed every payload. While Orbital seemed to have hit its rocketeering stride by the late ‘90s, the new millennium would prove far more rocky for its Taurus vehicle: Between 2001 and 2011, Taurus failed three out of its four missions—and cost NASA a whopping $700M in lost payloads. After a six-year hiatus, Taurus was re-tooled and rebranded as Minotaur-C, and successfully returned to flight in 2017. Another early rocket company of note is Lockheed Martin (known as Lockheed Corporation prior to merging with Martin Marietta in the mid-’90s). Lockheed began developing their own commercial launch vehicle in 1993, which debuted for its first mission in August of 1995—and failed to reach orbit with its satellite payload. Between this first mission and its final launch in 2001, Lockheed’s rocket—by then dubbed Athena—racked up a total of seven flights, five of which were deemed successful. While Orbital and Lockheed were able to get their launch vehicles into space with enough regularity to retain outside interest in their services, not all ‘90s-era private launch companies were as successful. As an example, consider Kistler Aerospace Corporation. Founded in 1993 with the intention of serving a growing number of private satellite operators, the Washington-based would-be rocket company spent half a billion dollars developing their launch vehicle—a vehicle which, by the end of the 1990s, had never materialized. Another entrepreneurial launch venture which failed to get off the ground (metaphorically-speaking) was Rotary Rocket Company. Rotary Rocket, founded in the late 1990s, intended to marry a helicopter and single-stage rocket into a reusable launch vehicle and—as was the case with Kistler—take advantage of the growth within the satcom industry. While Rotary’s Rotor vehicle underwent several successful test flights, the company quickly ran out of funding and stopped development in 2000. The foundations of a commercial launch industry have taken time—and money—to take root. The first couple decades of private launch efforts were marred by spectacular failures and significant losses. In the long run, Orbital and Lockheed succeeded due to a couple of key factors: namely, the companies had both early customers for their launch services, and diversified lines of business to support ongoing vehicle development costs. Orbital’s Pegasus vehicle is a particularly expensive rocket to launch on a price-per-kilogram basis: it can deliver 450 kilograms to LEO at an estimated cost of $40M—that breaks down to nearly $89,000 per kilo of payload. The company’s Minotaur-C is more cost-effective, but still expensive, sending 1,800 kilograms to LEO at a per-launch cost of $46M (or about $25,500 per kilo). By comparison, SpaceX’s Falcon 9 can lift some 22,000 kilograms to LEO for just over $61M, which translates to a more reasonable $2,770 cost per kilogram. As interest and activity within the commercial space landscape began to pick up with the new millennium, companies like Lockheed and Orbital—with their industry connections and improving launch records—had, perhaps, an inherent “leg-up” within the nascent marketplace. The first decade of the 21st century, however, would bear witness to a spectacular turning point in the private launch timeline: the arrival on the scene of disruptive billionaire tech entrepreneurs with some truly ostentatious rocket-powered ambitions. New millennium, new approach to spaceflight: towards a modern commercial launch marketplace and human spaceflight. While Orbital Sciences Corporation spent much of the first decade of the new millennium struggling with repeated failed launches of their Taurus vehicle, Lockheed Martin was developing a newer, more powerful rocket than their extant Athena model. 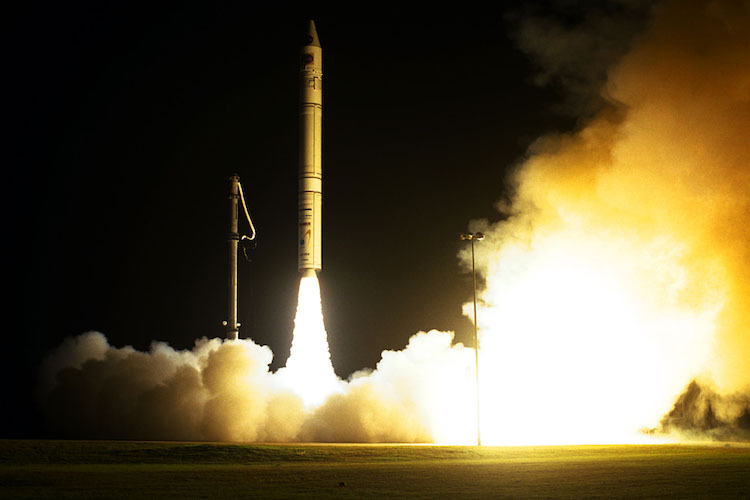 In 2002, Lockheed debuted the Atlas-V, the latest installment in a storied lineup of related launch vehicles that stretches back to NASA’s Mercury program. The first Atlas-V launch, which took place in August 2002, successfully delivered a French broadcast satellite to geostationary orbit. Since this first payload deployment, the Atlas-V family of rockets has maintained an impressive 100% mission success rate for commercial and government clients alike. The Atlas-V is also (currently) less expensive to launch, on a cost-per-kilogram basis, than either of Orbital’s commercial launch vehicles: capable of carrying 8,250 kilos to LEO, the “baseline” Atlas-V costs $109M per launch, which breaks down to roughly $13,200 a kilogram. The early aughts were tumultuous time for much of the world, marked by tragedies and triumphs alike. One such triumph occurred in July 2004, when a private spaceflight company successfully launched a crewed mission to the edge of space in a commercial vehicle. The appropriately-named SpaceShipOne, designed and built by Scaled Composites, was an air-launched vehicle piloted by Mike Melville (a man also known as the “unlikeliest astronaut”). While the rocket’s inaugural mission was a success, the flight was not without mishap. After the vehicle’s control system malfunctioned Melville was forced to return to the launch site prematurely—but not before reaching an altitude of 62 miles, or the very limits of Earth’s atmosphere. SpaceShipOne went on to fly two more successful missions in 2004, and earned Scaled Composites (and its joint venture Tier One) the $10M Ansari X-Prize. The ‘00s also gave rise to several now-ubiquitous rocket startups backed by some of the most notable tech entrepreneurs of recent decades: Blue Origin, founded in 2000 by Jeff Bezos; SpaceX, founded in 2002 by Elon Musk; and Virgin Galactic, founded in 2004 by Richard Branson. While Branson signed a deal with Scaled Composites and Tier One to license SpaceShipOne’s technology just prior to its X-Prize win, both Bezos and Musk took a ground-up approach to building their rocket empires. Bezos and Blue Origin have thus far kept their cards close to the chest, so to speak, and do not often discuss the company’s intended launch schedule. The enigmatic Elon Musk has, arguably, taken precisely the opposite approach. Musk’s frequent public appearances and active social media presence, coupled with SpaceX’s very public, much-paraded launches and landings, has resulted in a truly unique—and thoroughly modern—rocket launch company. Of course, SpaceX began as humbly as any of its predecessors with development of their first rocket, the Falcon 1, in 2003. After several years of R&D, test fires, and delayed launch attempts, SpaceX was ready to debut the Falcon 1 in March 2006. The first mission, meant to deploy a student-built satellite (called FalconSAT-2), ended in vehicle shutdown shortly after launch and was deemed a failure. On its second and third attempts (in March 2007 and August 2008, respectively), the Falcon 1 repeatedly failed to reach orbit. It wasn’t until their fourth Falcon 1 launch attempt, in September in 2008, that SpaceX got a taste of success. The fifth and final Falcon 1 flight successfully delivered a customer payload to orbit in 2009. In 2005 (before the Falcon 1 had even flown), SpaceX announced that the company would begin development of an upgraded Falcon rocket, the now-famous Falcon 9. 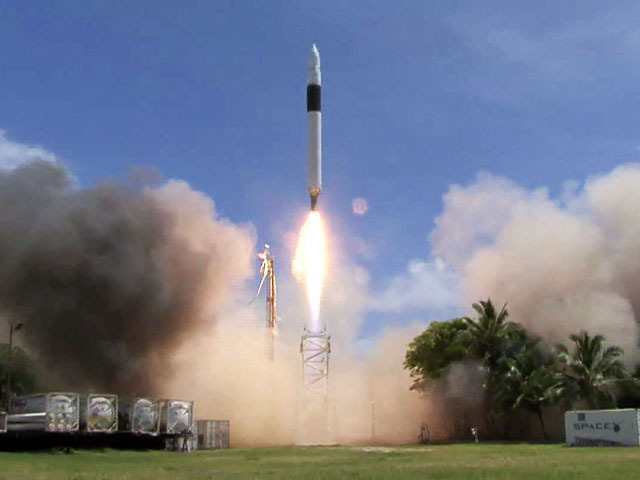 In early June of 2010, the Falcon 9 successfully completed its debut mission to LEO.To date, SpaceX’s Falcon 9 rockets boast a 94% success rate, having suffered three failures—two complete and one partial—during 47 launches throughout the company’s history. 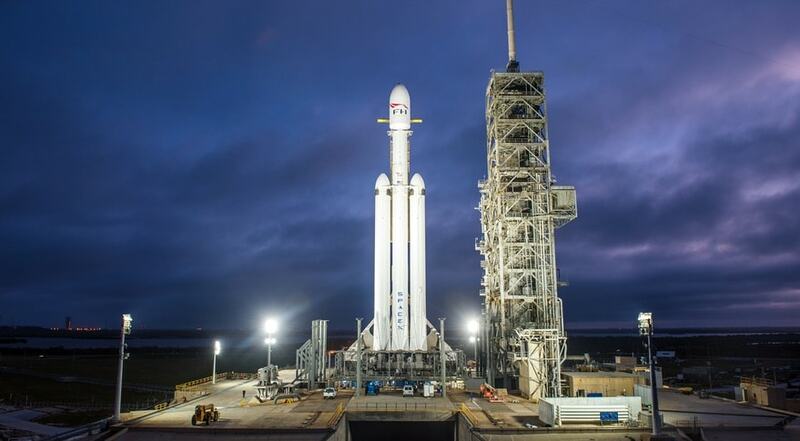 The company’s next major milestone, the inaugural launch of their massive Falcon Heavy rocket, is scheduled for February 6th of this year—and, undoubtedly, the world will be watching. Per aspera, ad astra: Through hardships, to the stars. Today’s blossoming private launch industry, bolstered by billions of dollars of equity investment, has evolved out of several decades’ worth of hard lessons, miscalculations, misfires, and lost payloads. To the early pioneers of commercial rocketry, today’s wealth of private launch services—and their near-perfect launch records—may well represent a logical (if remarkable) extension of those first forays into privately-funded rocket launch nearly forty years ago. Despite immense progress, certain challenges remain. A significant uptick in projected launch cadence will pose logistical challenges to private launch providers, and present an opportunity to maintain (or improve) their launch success statistics. What’s more, over the coming year we expect to see the advent of crewed commercial missions to the ISS and, perhaps, space beyond. Now is not the time for complacency—it is the time for action. There’s never been a better time to get involved in commercial space. If you’re ready to start investing in private space companies, we invite you to apply for membership to Space Angels.